Does archeologist evidence support the famous Exodus in the Bible? That is exactly what Timothy Mahoney - filmmaker- sets out to uncover. How? 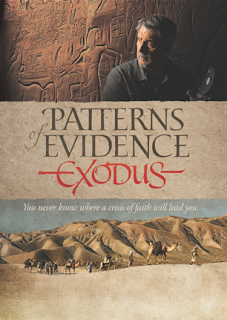 By visiting the famous locations in Egypt and talking to scholars and archeologist Mahoney tries to uncover the truth. This was a fascinating DVD. While we believe the bible to be the truth and an actual historical account, many don't. I liked how this was approached and how the evidence was laid out. Sometimes documentaries can be dry but this one was well done with narrations, interviews and scenes from the bible (acted out.) This is a great addition to our DVD library and perfect for our studies in Ancient History this year. Nothing to buy! But we would enjoy watching the DVD! I'm not sure that I understand your question "What will you buy if you win?" (that must be from some other contest). I would watch the film of course.